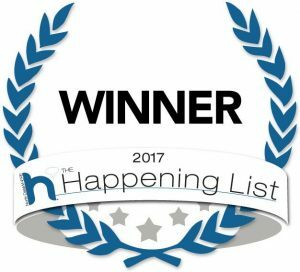 We are thrilled to announce that Doherty & Associates has been named "Best Accounting & Tax Preparation" company" for 2017! 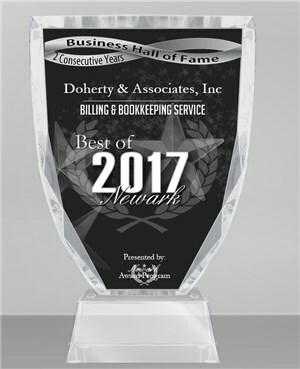 We are pleased to announce that Doherty & Associates, Inc has been selected two years in a row for the 2017 Best of Newark Awards for Billing & Bookkeeping Service and now qualifies for the Newark Business Hall of Fame! 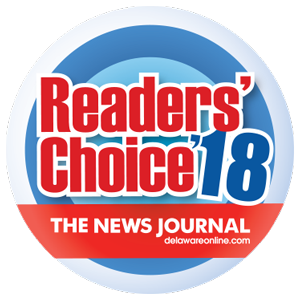 We want to thank everyone who voted for Doherty & Associates and made it possible for us to become a top finalist for the Reader's Choice Award. We offer full Financial Controller/ CFO services. As your Virtual CFO, we alleviate the need to hire a full time, salaried position inside your company. We offer complete IRS and State Tax agency representation personally or on behalf of your Business. 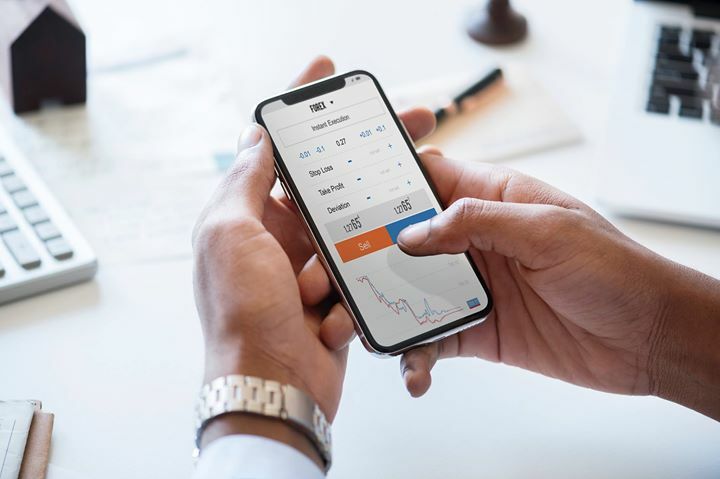 Our professional team will manage all of your daily financial records with our streamlined real-time response process. Saying Doherty and Associates is the best Accounting firm in Delaware is an understatement. In my experience, after working with similar firms in 5 different countries, I can say they are like a Swiss Army knife, because they take care of all your needs and they do so with the highest quality. Any person from the firm who you come in contact with is committed to solving your problems so you can focus in your core activities. I absolutely recommend their services. Thank you for the great service, advice, and hard work. Element Design Group switched to Doherty & Associates for payroll services after the start of fiscal year 2009 and the transition was very smooth. Their staff worked closely to reconcile our previous accounts and they provided a great level of customer service when the transition posed some challenges. Element has benefited from the change to Doherty and we look forward to the opportunity to utilize some of their complimentary services in the future. We are sincerely grateful for being a client of Doherty & Associates. The professional manner exhibited by your staff in the preparation of our tax work is truly appreciated. It was easy to recommend Doherty & Associates to our friends and a relief to know that they were put in good hands. I just wanted to take a moment to thank you kindly for doing my taxes on such short notice. The professionalism at Doherty & Associates blew me away and left me speechless. Once again, thank you for your kindness and making my day! I just wanted to drop Doherty & Associates a note to say “Thank You” for all of the hard work due to all that has been thrown at you lately. We really appreciate everything that you are doing! Jim B - Wilmington Manor Fire Co. I just wanted to let Debbie know how much we appreciated her help with our taxes last year. My husband's taxes were, unfortunately, in bad shape for the last few years- it seems that Turbotax and H&R Block just doesn't seem to cut it. We received a total tax refund of over $20,000 because of Deb's knowledge. Thank you Debbie! Incredible!